My friends kept asking me to try the Ponggol Nasi Lemak and I also heard many good feedback about the food. 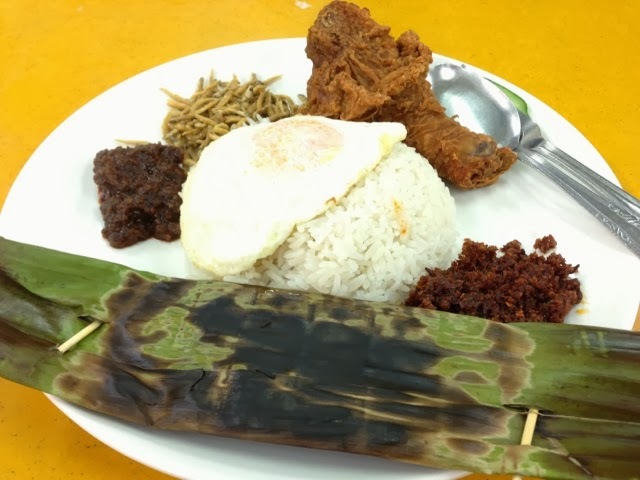 Since it is highly recommended by my friends, I thought that I should heed their advice and try the popular nasi lemak at Upper Serangoon Road. Nasi Lemak is fragrant rice cooked in coconut milk and pandan leaves. 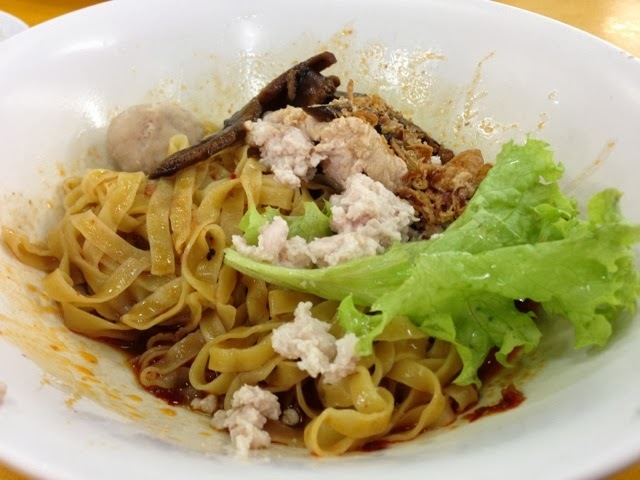 The rice dish is one of the common local delights in Singapore. 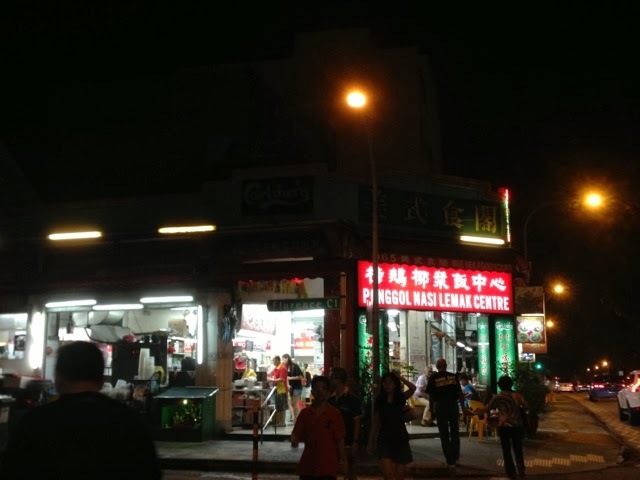 At the Ponggol Nasi Lemak Centre, there are also other food stalls. 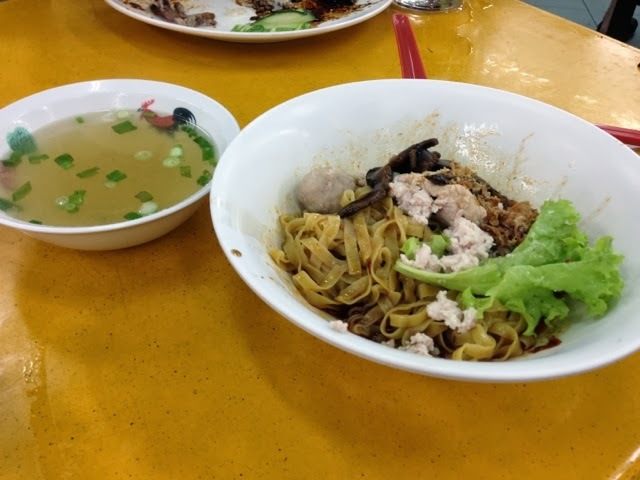 Apart from ordering the rice dish, I also ordered myself a bowl of minced meat with mushroom noodles. The total food tour cost us less than $10.00.